Last Monday night John Young's sister Heather led the diners in a rousing rendition of 'Bring back Old Nelly to me' accompanied by Dave Melville on guitar. Concert footage will be supplied if we can figure out how to run our video editing software. 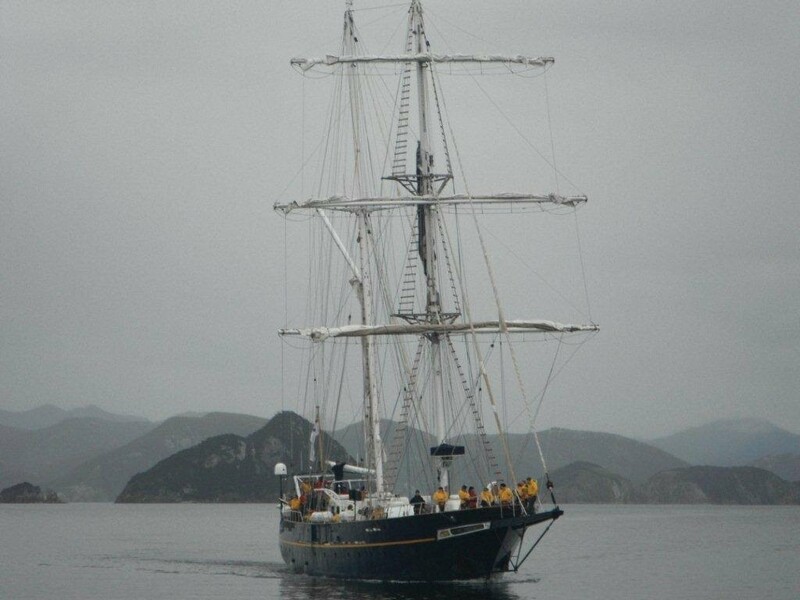 The 'Old Nelly' in question is the tall ship Lord Nelson, currently docked in Hobart. 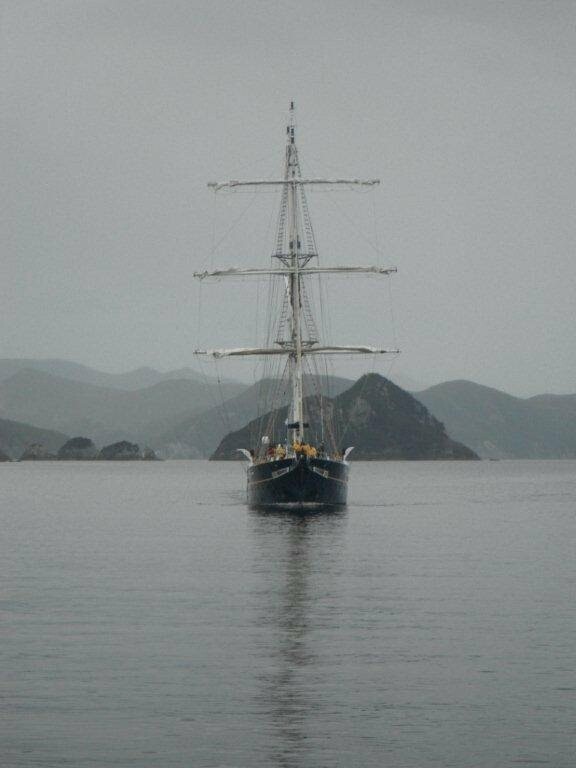 Heather and John were part of the crew that sailed Lord Nelson from Melbourne, and they supplied the accompanying pictures taken in Port Davey.